MUSIC NOT NOIZE: NAPALM A.D. 12"
Back in 2012 our longing for more TOTALITÄR was satisfied by INSTITUTION's Domen Är Satt LP. Not that all those TOTALITÄR 7"s and LPs ever get old or played out, but it's exciting to get slapped with new material featuring members of the original band, especially when it just sounds so much like TOTALITÄR. 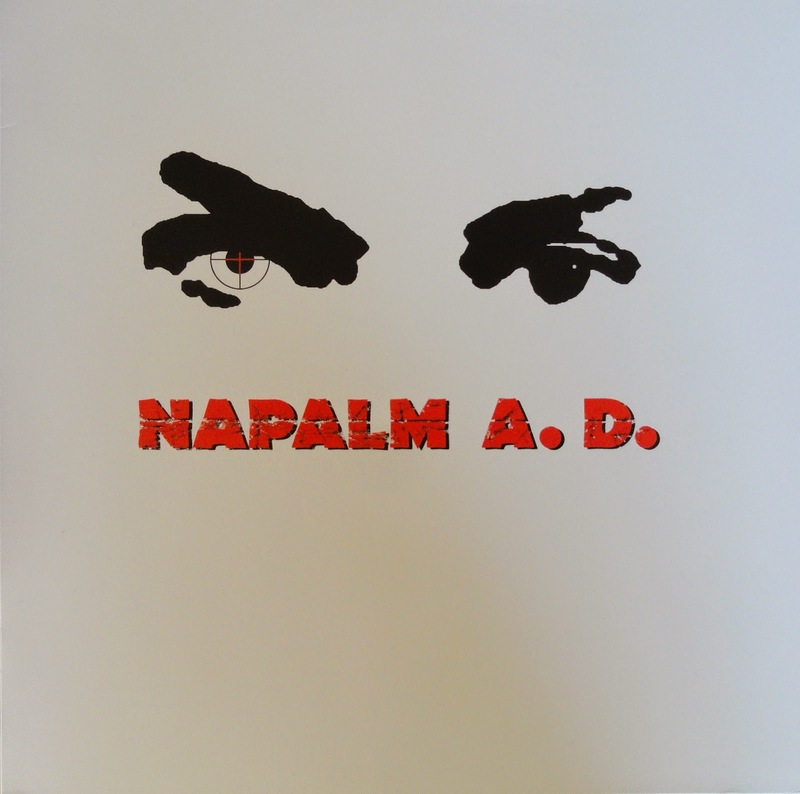 So this year we were presented with the brilliant and succinct NAPALM A.D. 12". The only information actually on this record is that it was recorded in 2012, and Poffen's signature manic vocal style gives him away as the singer. I actually flipped right past this disc months ago at MRR headquarters while digging through the new arrivals because I had heard no news of it, and the cover didn't grab my attention. Once I found out what it was, it proved to be impossible to mailorder in the States. Luckily I had my feelers out for it in Europe and managed to grab it at the always dangerous Static Shock Records in Berlin. Fingers crossed that these TOTALITÄR-related projects will keep churning out more releases! The members are Poffen, Lanchy, Andreas and Mattis (one half of Skrammel). Basically Totalitar with a different drummer. 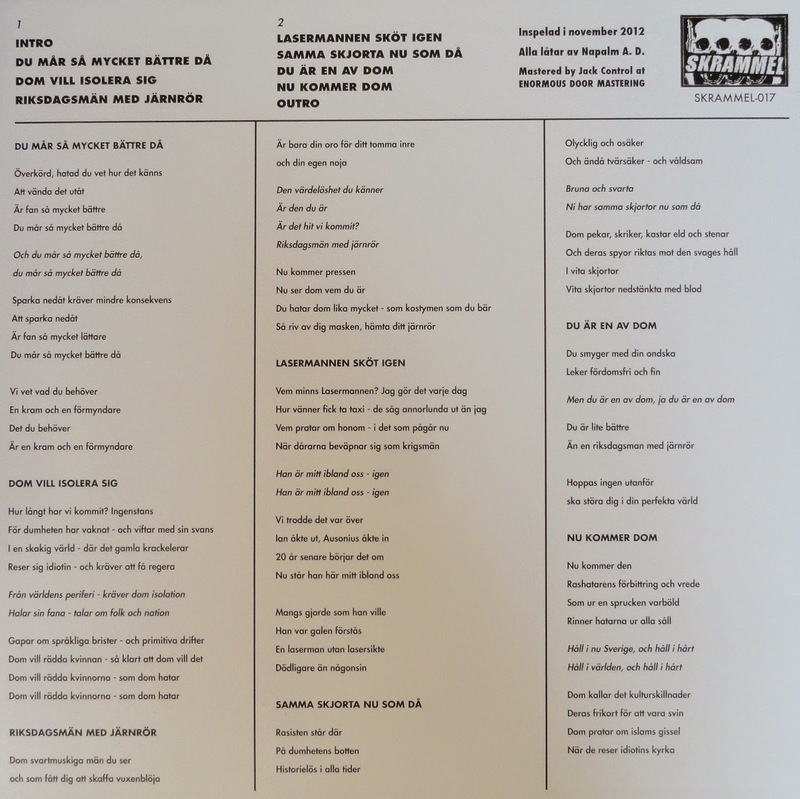 VONBRIGDI - Ó, Reykjavík 12"